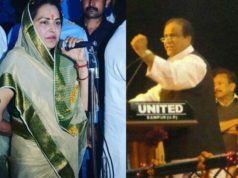 The right wing organization had called for 'Param Dharam Sansad' on January 28 which went on for three days and concluded on January 30. After which, Swami Swaroopanand Saraswati declared that they will lay the foundation stone of Ram Temple on February 21 even if they have to go to jail or take the bullets on their chests. 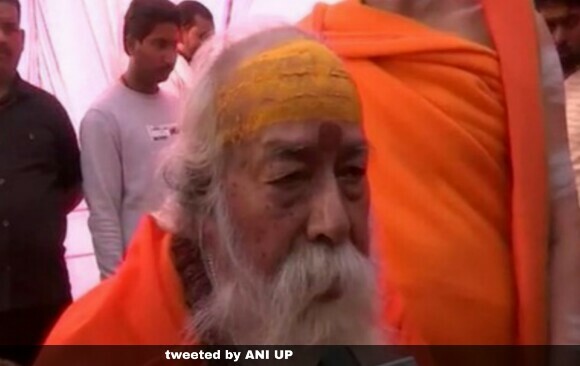 In a reiteration to his earlier claim, Shankaracharya Swami Swaroopanand Saraswati claimed that the laying stone of Ram Mandir (Lord Ram Temple) in Ayodhya will begin from February 21. As per a report by the news agency, ANI, Swami Swaroopanand told it on Monday that Swami Swaroopanand along with his followers will head towards Ayodhya from February 17 and lay the foundation stone of the Mandir on February 21. “On February 17, we will head towards Ayodhya from Prayagraj and on February 21, we will lay the foundation stone of Ram Temple,” Swami Swaroopanand was quoted as saying by the news agency. 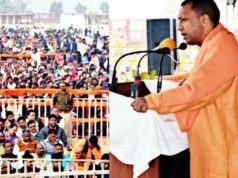 The claim to lay foundation stone of Ram temple in Ayodhya has come after the Chief Minister of Uttar Pradesh, Yogi Adityanath, advocated for the Ram Mandir construction without any delay, an issue that should be resolved within 24 hours, while speaking in the Uttar Pradesh state assembly on Monday. “The dispute (Ram Mandir dispute) exists only whether or not there is ‘Ram Janmabhoomi’. That dispute has already been decided upon and so now it should not take more than 24 hours to find a solution,” CM Adityanath said in the assembly on Monday, quoted ANI. The Chief Minister reiterated that the courts of India must respect the beliefs and sentiments of the people and let the construction of Ram Temple begin in Ayodhya. “Ayodhya is well known in India and across the world due to lord Ram and not due to a foreign invader like Babur. The beliefs of the people must be respected. I have said several times that the court should respect the sentiments of the people. 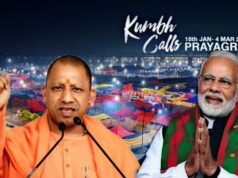 The Allahabad High court has specifically said that wherever ‘Ram Lalla’ is present, the temple will be built there,” Adityanath added, quoted ANI. The Ramjanmabhoomi-Babri Masjid dispute is more than two decade old issue which has marked several sacrifices and the case is now pending with Supreme Court from last eight years. While the apex court had said that it will begin day-to-day hearing on the case from October last year, the case has been adjourning since then. 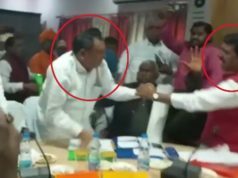 The right-wing organisations have been mounting pressure on BJP-led state government and central government to pass an ordinance for the construction of Ram temple at the disputed place of Ramjanmabhoomi. 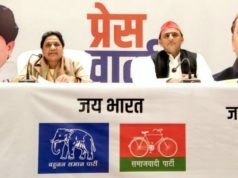 The right wing organization had called for ‘Param Dharam Sansad’ on January 28 which went on for three days and concluded on January 30. After which, Swami Swaroopanand Saraswati declared that they will lay the foundation stone of Ram Temple on February 21 even if they have to go to jail or take the bullets on their chests. “We will lay the foundation stone (of Ram Temple) there (Ayodhya) on February 21, 2019..we are not violating any order of the court. Until the High Court’s order is quashed by the Supreme Court, it is still applicable. 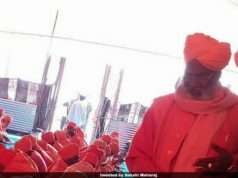 wahan Ram lalla virajman hain, woh janmabhoomi hai, (Lord Ram is seated there and that is his birthplace)” Swami Swaroopanand Saraswati was quoted as saying by India TV.